Newegg and Dell have some great deals on monitors, including a 29-inch ultrawide gaming monitor under $200. We’ve had a bunch of deals on graphics cards this week, but an awesome graphics card can’t shine without an awesome monitor to pair with it. Fortunately, we’ve found three awesome monitor deals at Dell and Newegg today. First up: the 32-inch D3218HN 1080p monitor at Dell for $150Remove non-product link. Dell says this monitor is 50 percent off the usual price, and this is one of the company’s holiday “doorbusters” so availability is limited. The monitor doesn’t have much in the way of gaming extras, but it’s a solid monitor with a huge screen size and a 178-degree viewing angle. Moving up by a few bucks, the LG 29UM69G-B is $180 at NeweggRemove non-product link with the checkout code EMCERPW26. This IPS display is rocking AMD's FreeSync technology for people with a compatible Radeon graphics card. FreeSync synchronizes the refresh rate between your graphics card and monitor for a buttery smooth gaming experience. The LG 29UM69G-B is an ultrawide, 29-inch display rocking 2560-by-1080 resolution (21:9), and a 5 millisecond response time. 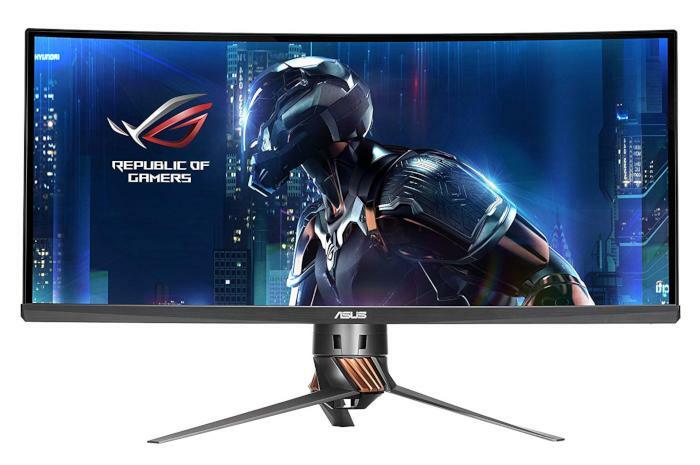 For ports, this monitor has HDMI, DisplayPort, and USB-C.
Rounding out our three monitors is the very expensive, but equally awesome, Asus ROG Swift PG348Q Curved monitor for $800Remove non-product link with the checkout code EMCERPW25. That’s about $148 cheaper than Amazon, though admittedly it’s still pricey. This is a 34-inch display with 3440-by-1440 resolution and Nvidia’s G-Sync for buttery smooth gaming similar to FreeSync. This monitor has a refresh rate of 100Hz, comes with speakers built-in, as well as a height adjustable monitor and tilt for maximum viewing angle customization.